This is a revised version of the previous text on this site. I have completed the shortened chapters and still added some new amendments. The whole material has been rearranged and has got a more attractive book form, in .pdf format. I would call the special attention of the readers to Chapter IV about the origin of the King Wen sequence. There are new arguments there in support of the previous hypothesis on this subject. 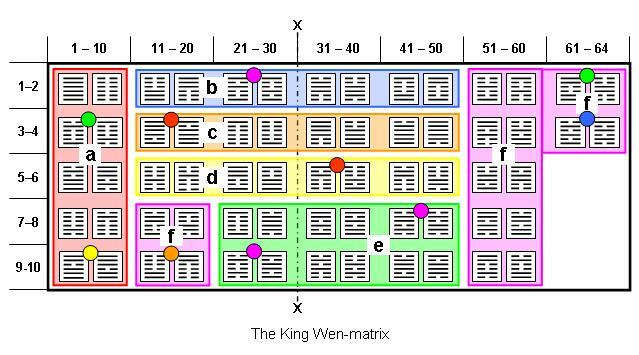 That is, the linear King Wen sequence was derived from a two-dimensional matrix (I call it King Wen matrix, see below) where the hexagrams were arranged according to a definite rule.